The Aquavator® Beach Cargo Lift. Ask about about our 3 year warranty on products. 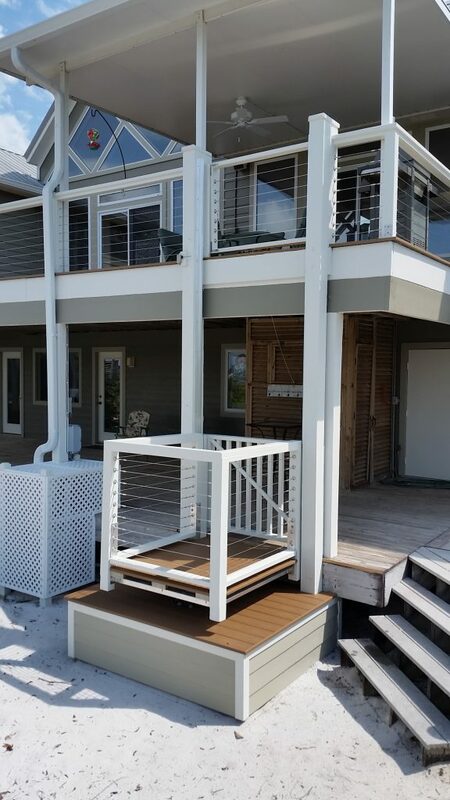 Call now and ask us about the Aquavator®Hydraulic, Home Elevator, Porch Lift and Beach Cargo Lift with one moving part that is non-corrosive. 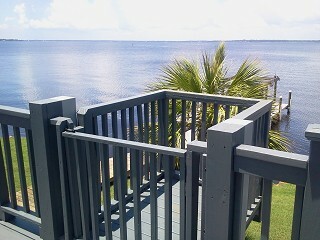 It is designed for the abusive coastal climate. Let our many long term customers (10-20 years) tell you about our virtually maintenance free beach cargo lifts. 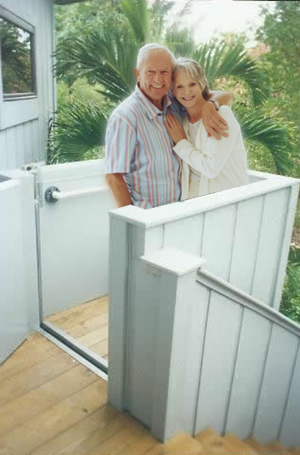 Call us now to to get your special offer on your new Residential Porch Lift or home elevator. Don’t change the exterior decor of your beautiful home when installing a Outdoor Elevator. Aquarius Home Elevators and Lifts, Inc. is a family operated elevator company that has been installing residential elevators, porch lifts, beach home cargo lifts and material lifts in Florida, Alabama, Mississippi, Texas, Georgia, North Carolina and Louisiana since 1983 for residential and commercial applications. 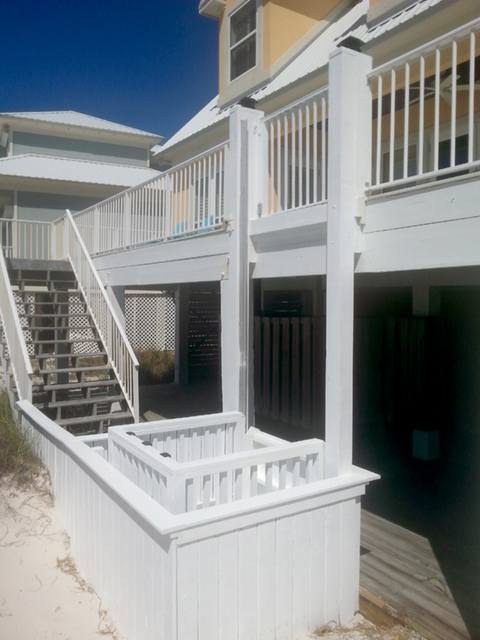 Let us help you design your lift location before you start new construction or remodel project at your beach home, townhouse or condo. We have years of consulting experience at A.E.L. As a result, the Aquarius home elevators new technology system can be manufactured, installed and maintained for a fraction of the cost of a conventional hydraulic elevator system. In addition, the Aquarius system offers features, and sophistication not available elsewhere at any price. The Aquavator offers unrivaled safety, travel speed and lifting capacity. Technical assistance and quality service has always been an integral part of the Aquarius business practice. Aquarius remodels homes and also does new construction projects. Call us about elevator costs and Porchlift pricing. 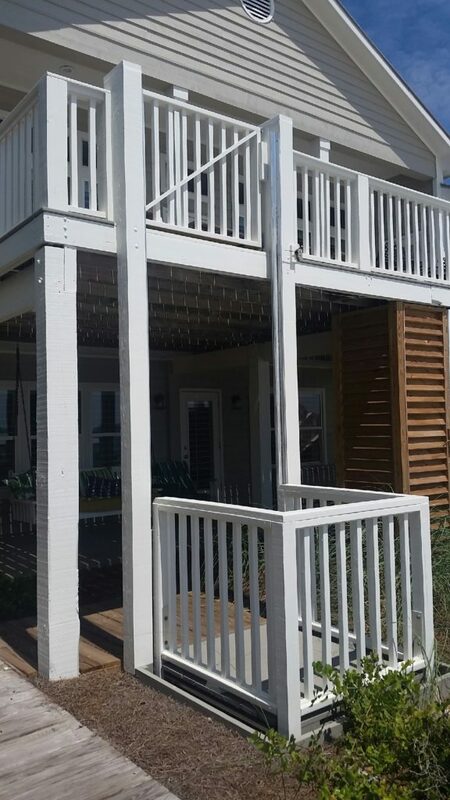 We work with many architects and engineers during the course of our remodeling construction projects, that widen the variety of custom access styles. This enables us to create many designs during the remodel and be creative with the exterior decor of many residential homes. 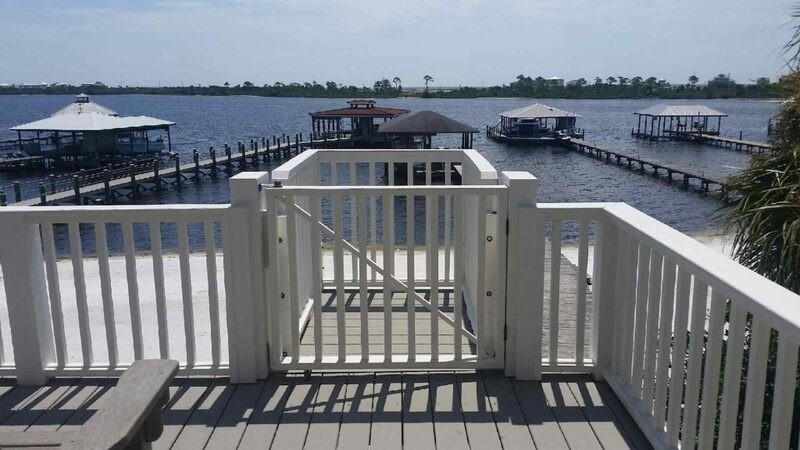 Please ask us about elevator pricing, remodel pricing, and construction cost for elevator hoistways and porch lifts in Florida, Mississippi, Alabama, and Louisiana. 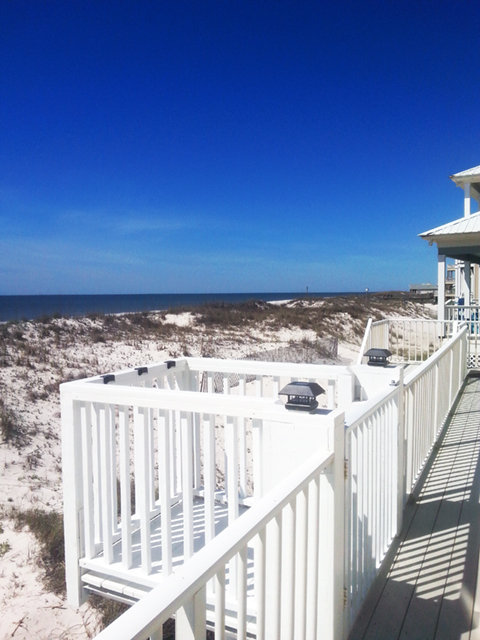 The Porch Lift has one moving part that is non-corrosive; it is designed to be submerged under salt water and still operate. The Aquavator porch lift taking you to the next level.Aquarius Elevators and Lifts has many elevator installations for beach homes, residential elevator installations, outdoor lift installations, porch lift installations, home elevators, residential elevators, porch lifts, outdoor lifts, Beach Cargo Lifts and home elevators, passenger lifts, platform lifts, material lifts. Hawaii, Oahu, Maui, Kauai, Lanai, Kailua, Lanikai, Kaneohe, Hawaii Kai. Home Elevators, Porch Lifts, Cargo lifts, home cargo elevators,Out door Lifts,Chairlifts, vertical platform lifts. The market leader in environmental friendly, water hydraulic elevator systems. Our systems are economical, non-corrosive and virtually maintenance free, offering unrivaled safety, travel speed and lifting capacity. 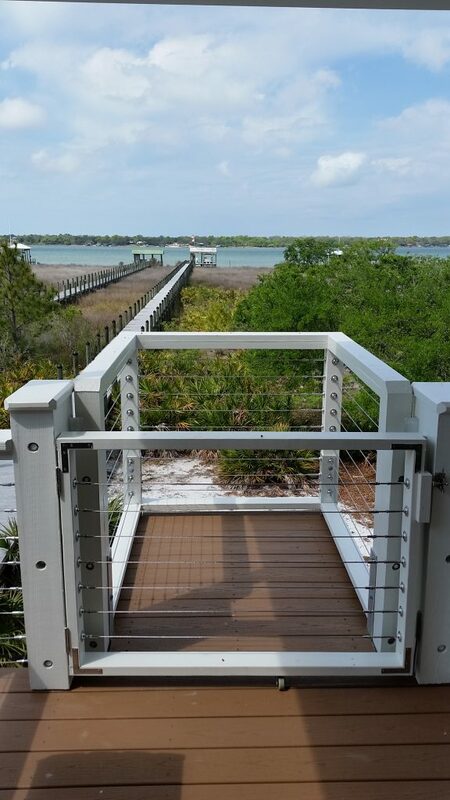 The Aquavator Lift System is designed for the abusive coastal climate it has one moving part, no pulleys or cables.